This week’s goal: Organize my Nando! After a very busy year of moving to a new area and the gallery show this fall, I realized my Studio Closet, Nando (納戸) in Japanese, is a complete disaster of yarn, metalsmithing tools, sewing notions, and office supplies! 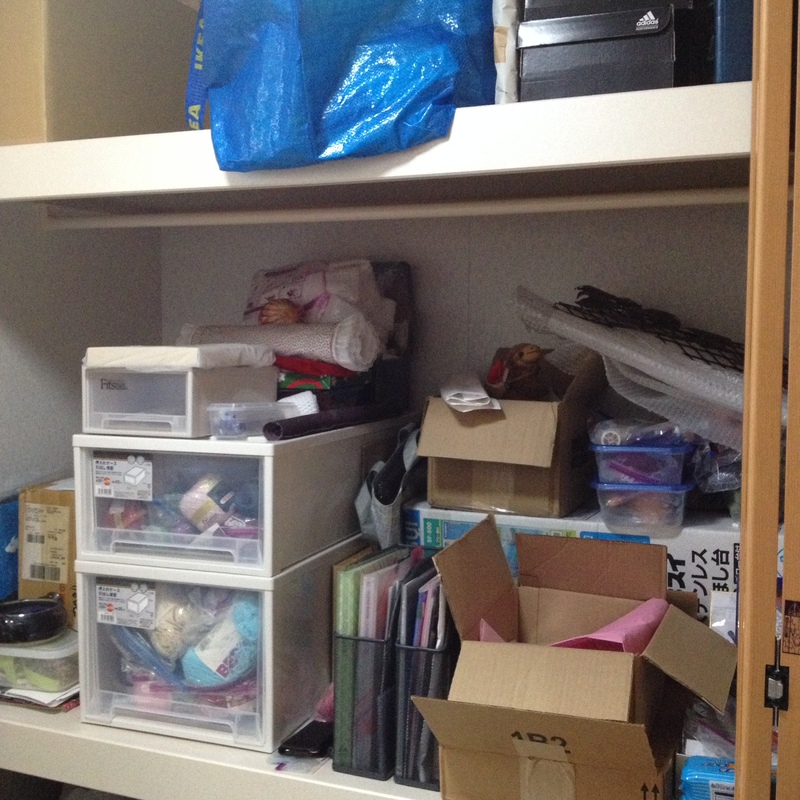 My Studio itself is well organized and I have plenty of comfortable space to work, yet my closet is clearly screaming for well-deserved attention if I ever hope to complete another large scale project.